Whoooooaaaaa baby! This is going to be an exciting month for sure. I’m launching a Kickstarter campaign for two books at the same time. Each collects some of the NSFW comics that I’ve been doing through Patreon. Evil Inc After Dark: Live Fast, Thwart Hard is 88 pages, full color, softcover, and collects 16 stories. The Courting Disaster Uncensored book is 56 pages, full color, softcover, and collects all of the NSFW Courting Disaster cartoons I’ve created, along with a calienté collection of Courting Disaster cartoons that have never before been collected in print. As always, I’ve tried to set up some rewards to entice you — DRM-free digital versions, Artist Editions (sfw and nsfw), commissions, and more! Click the maps to see them bigger. Good news, Left-Coasters! I’m at Emerald City Comicon today through Sunday! 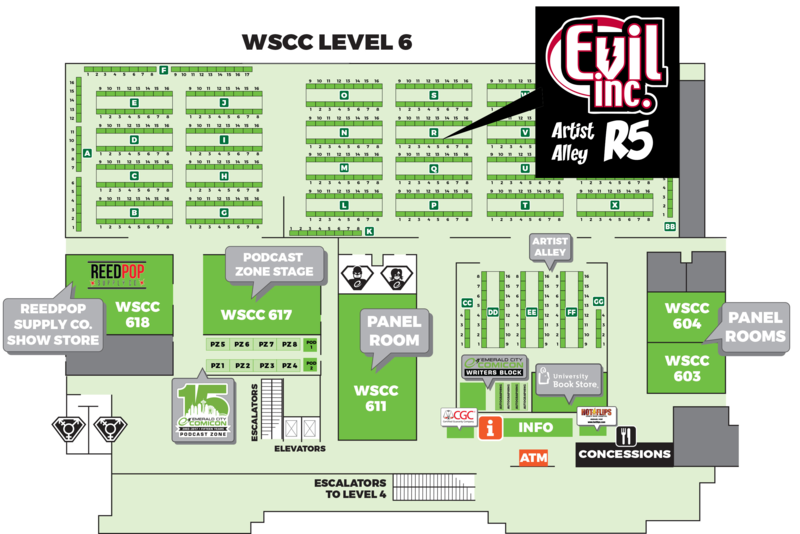 Id you’re in the area, please come out and say hello to me in Artist Alley, table R5. I’m have a ton of Evil Inc books there — at all-time low prices. If you’ve ever thought about picking up an Evil Inc graphic novel, you’ll never have a better chance. 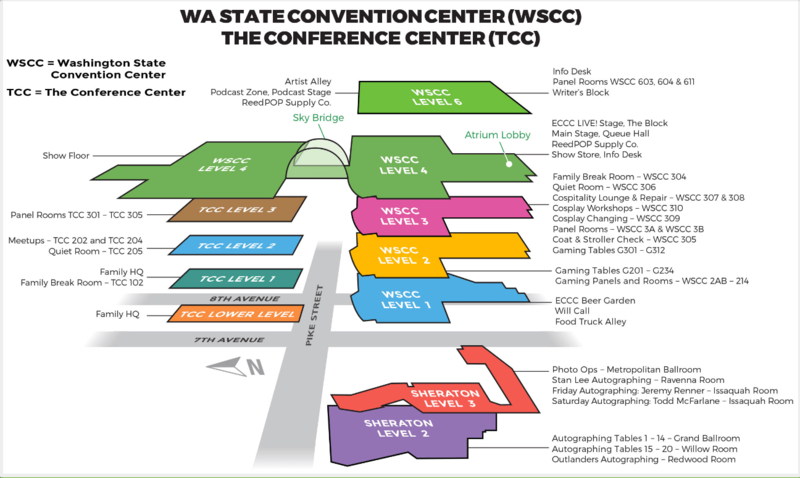 To find me, go aaaaallllll the way up to the sixth level, where Artist Alley is located. I’ll be in the R row, right in the middle, between Jeffrey Veregge and Jeremy Haun.